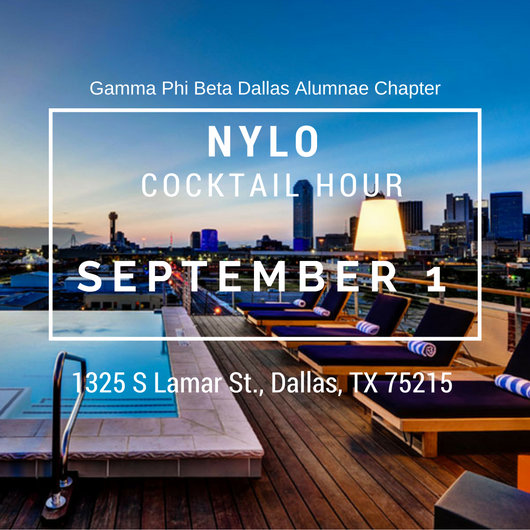 Join us for drinks at the NYLO! Come enjoy great views of downtown Dallas and an evening of catching up with your sisters new and returning. We can't wait to see you for drinks and networking!